You may not be surprised to hear that Disney Vacation Club's timeshare villas are some of the most desirable accommodations offered at Disney properties. Many people are surprised to hear how affordable Disney villa stays can be, often saving you substantially compared with your usual park accommodations. The best part is this: you don't even have to be a Disney Vacation Club owner yourself to stay in these great resorts. It's quite easy to manage a DVC rental for your very next Disney visit. Disney Vacation Club gives their owners free rein to rent out their ownership points and pre-booked reservations, which means many of their owners do so every year. This provides you with a terrific chance to save on Disney's most comfortable and practical accommodations. 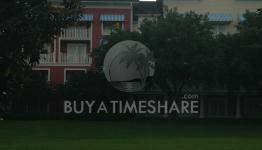 The team at BuyaTimeshare.com can help you search for a DVC rental that works to your advantage. Is this cheaper than booking directly with Disney? Yes. When you use rented points or rent a confirmed reservation for a DVC villa, you typically pay even less than you would by using whatever promotions Disney might be offering on their deluxe accommodations. This is especially true if you can only travel during high-demand seasons, such as summer, when Disney's discounts on direct bookings are minimal. 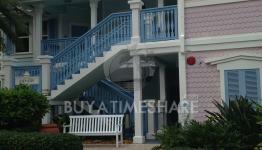 It's also possible for you to book these timeshare villas directly from Disney without renting at all. A quick check of the prices on those bookings, however, leads to the same conclusion. On the uncommon occasions that Disney has such villas directly available, their prices are usually double what you'd pay to rent an identical unit from an owner. How Else Can a Disney Rental Save You Money on Your Disney Vacation? 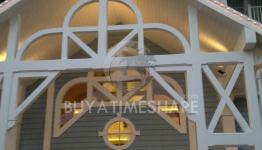 The well-equipped layout of most Disney timeshare villas makes them great money savers in themselves. All villas with one or more bedrooms have full kitchens, so your dining costs are greatly reduced when you can prepare meals for your entire group and even keep plenty of snacks on hand. The one-bedroom and larger villas also boast private laundry facilities within the units, letting you avoid laundry room fees and time. You may even be able to skip overweight luggage fees by packing lightly and planning to do a quick load of laundry or two during your stay. Your Disney timeshare rental saves you in another way. You can accommodate your entire group comfortably by booking fewer total units. For example, a one-bedroom Disney villa accommodates up to five adults, which would be impossible for a standard hotel room. Consider that Disney counts everyone in your party as an adult who is 18 or over, meaning that older children may be adults for booking purposes. That means a trip that includes five people over 18 would require you to bear the cost of three Disney hotel rooms. With a DVC rental, you can book just a single one-bedroom villa and have everyone stay together. How About Simply Staying at an Off-Disney Property? For Walt Disney World visits, why not make reservations outside the Orlando parks and drive in each day? It's possible, but it creates quite a headache. Any cost differences are soon swallowed by extra time and expenses spent traveling to, from and within Disney. Remember, Disney's wonderful transportation network within and between their parks is only free to those staying at their own resorts, including villa renters. Guests not staying on property also pay stiff fees for daily parking once they arrive. Compare this once again to your experience as a Disney Vacation Club rental guest. Your parking is free, all transportation to and between parks is complimentary and you can access Extra Magic Hours to avoid crowds, either before or after the official opening and closing times each day. Away from Orlando, a stay in a Disney timeshare rental can provide a similarly smooth experience. The Villas at Disney's Grand Californian put you directly within California Adventure. The Villas at the extraordinary Aulani in Hawaii, as well as at Disney's other Atlantic coast resorts, Vero Beach and Hilton Head Island, are equally well-designed to remove the usual hassles of traveling away from home and instead provide you with peace and relaxation. Try a Disney Vacation Club rental for your next vacation to the Mouse House. You'll find the seamless, hassle-free Disney experience you've always wanted. Your first stay in a Disney villa won't be your last!